Responsive ride – EN-DTC dual tread rubber balances wear and grip, letting the knobs do the work of control and braking on the ground. It’s been a while since I’ve put any substantial amount time on the original Kenda Nevegal, and I’d be lying if I said I got along great with it. It came with a lot of rolling resistance, which would have been acceptable if it was the price I had to pay for amazing traction. But the traction was unimpressive and unpredictable enough that I was left wondering why it had to roll so slow — if a tire can’t do everything well, I’d at least like it to do one thing well. The tread on the Nevegal 2 doesn’t look drastically different from that of the original Nevegal. 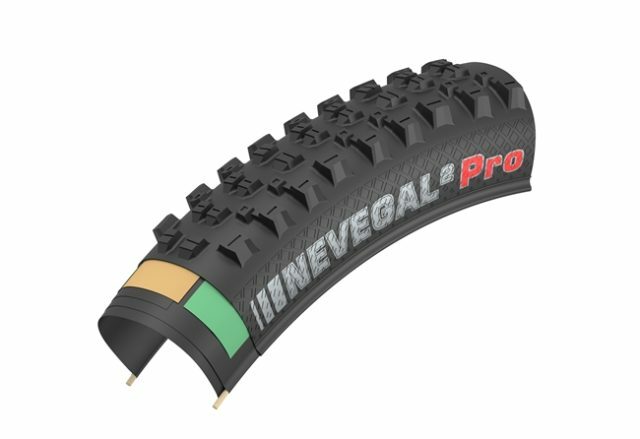 The Nevegal 2 features pronounced, ramped center knobs to reduce rolling resistance and still offer solid braking traction and big, blocky side knobs. Where the Nevegal 2 really differs from its predecessor is its signature intermediate knobs. The original tread featured a fairly large intermediate knob placed slightly inboard of each side knob, that was actually about as big as the side knob itself. This element is important, as tires with pronounced intermediate knobs generally offer a little bit more traction when engaged at a lower lean angle, but generally reduce the maximum traction you can squeeze out of the tire when you’re really committed to a corner at speed (for more discussion on this, check out our Mountain Bike Tires 101 article). The original Nevegal felt drifty (and often unpredictably so) in corners, a trait that I blame primarily on the tire’s large intermediate knobs keeping the side knobs from really digging in at high lean angles. The Nevegal 2 doesn’t completely forgo these intermediate knobs, but it certainly takes a different approach with them. First of all, the Nevegal 2’s intermediate knobs are significantly less pronounced in both height and overall size. The Nevegal 2’s intermediate knobs are smaller blocks that partially connect to the side knobs. On top of that, one in three of the Nevegal 2’s side knobs doesn’t actually have an intermediate knob sitting next to it, which opens up a partial channel in between the side and center knobs. The Nevegal 2 comes in Kenda’s new EN-DTC rubber compound, which is a proprietary formula that Kenda claims has reduced the tire’s rolling resistance by 50% compared to its predecessor. I rode the Nevegal 2 in Kenda’s weight-conscious ATC casing, which is currently the only casing option available for this model, although I’d bet that that’s going to change soon. Purely based on the tire’s weight, I’d be inclined to compare the ATC casing to Maxxis’ EXO casing, although Kenda’s casing actually feels a bit thinner to the touch. I had no issues mounting the Nevegal 2 to a set of Industry Nine Enduro S rims with a few scoops of sealant and an air compressor. In this department, I’d rate the process as just as easy as any tire I’ve recently tried from Maxxis or Bontrager. Much like Kenda’s Hellkat, the Nevegal 2 runs significantly narrower than its stated size. On 30.5 mm internal-width rims, the 2.4″ Nevegal 2 measured 55 mm (2.17”) at the widest point of the casing. The Nevegal 2 really does roll fast, just as Kenda claims. My first rides on the tire were in sticky and occasionally muddy Spring conditions, which gradually transitioned to dry hardpack, roots, and rocks. Throughout all of these conditions, the Nevegal 2 carried speed quite well. Compared to the original Nevegal, this was a very noticeable improvement. Braking traction is also decent on the Nevegal 2, especially when taking into account how fast it rolls. 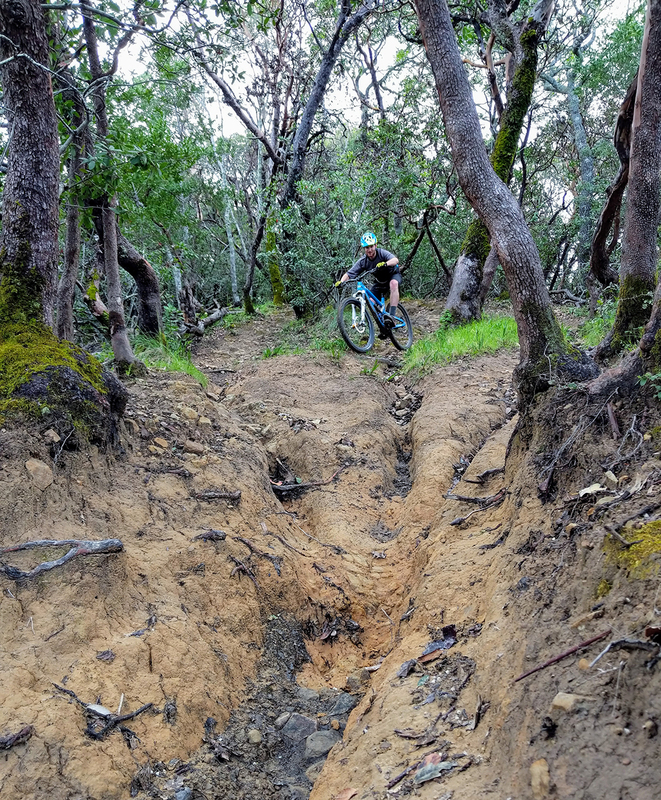 Xan Marshland on the Kenda Nevegal 2 Pro, Bay Area, CA. As for cornering traction, the original Nevegal was far from my favorite tire, and I still wouldn’t recommend the Nevegal 2 if you’re looking for something that really hooks up when things get twisty. But where the Nevegal 2 clearly improves over its predecessor is in its predictability. Once I got used to the fact that the Nevegal 2’s maximum traction is somewhat limited, I could very easily transition into drifts, knowing exactly what the bike would do at a particular lean angle. So for a lot of this test, I ended up just running the Nevegal 2 on the rear, pairing it with the more substantial Kenda Hellkat up front. This was a fantastic combo for damp or loose and dry conditions. The Hellkat’s DH-oriented tread hooks up great in pretty much all cornering situations, and the Nevegal 2 slides predictably, making for a playfully drifty, fast-rolling setup that I had no problem riding aggressively. As I got deeper into summer, many of my local trails developed an inch or so of fine moon dust, which was where I started wishing for a more substantial tread in the rear. And on one day of deep mud in Oregon, I also felt like I was overwhelming the Nevegal 2, which isn’t exactly surprising since it has little in the way of spiky knobs that really claw into soft surfaces. So to reiterate, the Nevegal 2 seems most at home on hardpack or damp trails, where its fast-rolling traits shine and its limited maximum traction isn’t an issue. 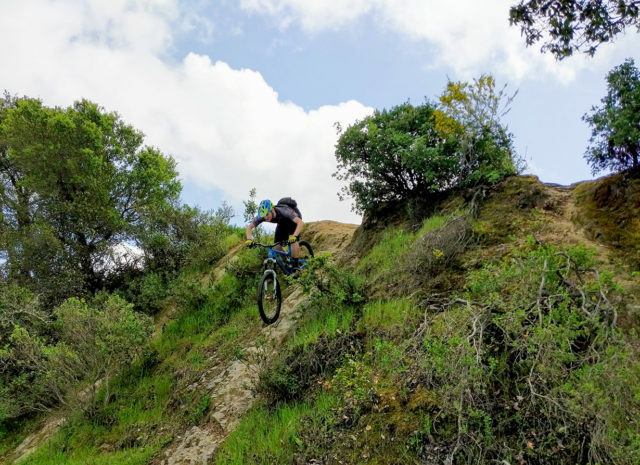 Curious about the tire’s limits, I started running the Nevegal 2 in scenarios that I generally reserve a heavier rear tire for — namely, awkward hucks onto sharp rocks and big shuttle runs with high-speed technical sections. You know, the situations that call for something more substantial than a paper-thin, ~800 gram tire. Although I’ve pinged my rear rim a ton of times on various sharp edges, I haven’t managed to tear a Nevegal 2 after around 3 months of use. Running the tire on the same trails where I’ve torn heavier tires, I constantly felt like I was tempting fate, but Kenda’s ATC casing put up with the abuse without complaint. To be fair, I haven’t subjected the Nevegal 2 to true DH use or any excessive bike-park smashing (the tire’s tread pattern would be too much of a limiting factor here anyway), and I find that many torn tires are the result of pretty unpredictable freak accidents anyway. But it’s more than fair to say that the Nevegal 2’s ATC casing has held up far better than I expected. 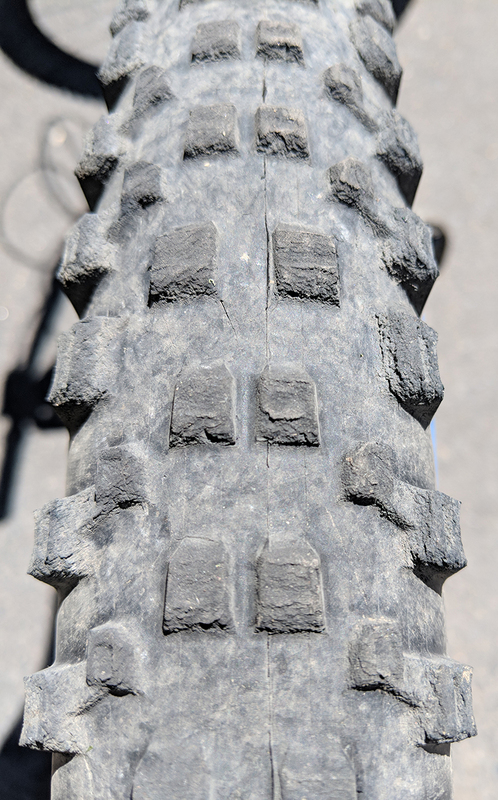 As for the tread, I would rank the durability of Kenda’s new rubber compound as pretty average. After a few months of aggressive use, the knobs are noticeably chewed away and the tire is arguably past the point of being appropriate for use. Expect to get some solid use out of the Nevegal 2, but nothing out of the ordinary. Because of its unpredictable traction and slow rolling tendencies, the old Kenda Nevegal never really had a place on my list of go-to tires. But while the new Nevegal 2 isn’t mindblowing in any category, the new tire’s predictability and low rolling resistance come as significant improvements over its predecessor. What’s more, it has a much better defined purpose within the range of tires on the market today. 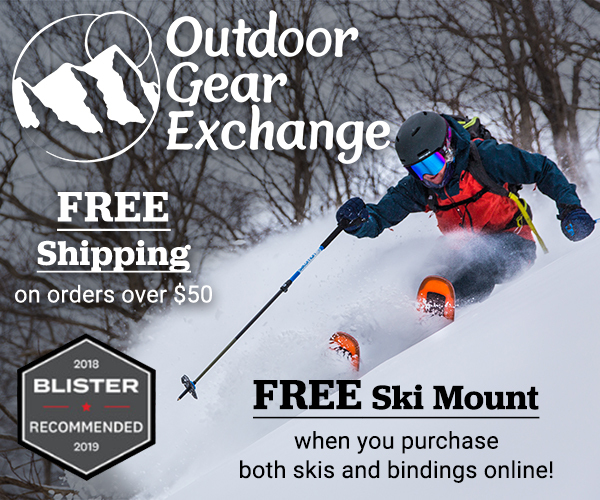 Riders who want a fast-rolling rear tire that drifts easily and predictably, or those looking for a minimal Trail tire that hooks up well on hardpack to damp conditions could certainly get along well with the Nevegal 2. And for those purposes, it should be considered as a very legitimate option.